Anton Viktorovich Yelchin (born March 11, 1989) died at 1:10 am PDT, Sunday, June 19, 2016, when his car rolled backwards down his driveway, pinning him against a brick mailbox pillar and security fence. Yelchin was an American film and television actor, known for portraying Pavel Chekov in the Star Trek reboot series, and for several other prominent roles. 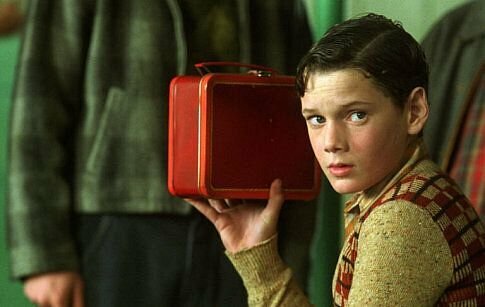 Yelchin began performing in the late 1990s, appearing in several television roles and the Hollywood films Along Came a Spider and Hearts in Atlantis (both 2001). Late for a rehearsal, it was early in the morning of June 19, 2016, when friends found Yelchin at his Studio City, California home in what was described as a "freak accident." Reportedly, he had walked around his car when it was in neutral, and it had rolled down his steep driveway, hitting him. He was pronounced dead later that day at the age of 27. Like the original actor who played Chekov in the famous Star Trek TV series from the 1960s, Walter Koenig, Yelchin was Russian-American Jewish [actor]. Koenig's son, Joshua Andrew Koenig, an actor himself, [died by] suicide at the age of 41 in 2010. [He disappeared on February 14, Valentine's Day, and his body was found on February 25, 2010. A group of 11 of his friends and family members searching for Koenig found his body hanging from a tree in Stanley Park in downtown Vancouver.] 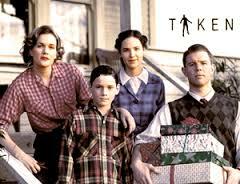 Joshua [Andrew] Koenig had a minor role [as Tumak] in a Star Trek Deep Space Nine episode in 1993. The name of the Star Trek character Chekov, of course, is synonymous [as Anton Chekhov] with the famous Russian playwright who died relatively young at 44, from tuberculosis [on July 14 1904]. ~ Lawrence. Joshua Koenig in his role as Joker (2003). 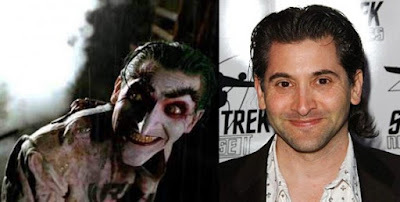 Joshua Koenig played the role of The Joker in the critically successful 2003 fan film Batman: Dead End. Directed by commercial director Sandy Collora, the short received its first screening at the San Diego Comic-Con International. Director Kevin Smith called it "possibly the truest, best Batman movie ever made." J Andrew Koenig's wiki page informs us that as a little boy, Koenig served as the inspiration for genre writer Harlan Ellison's noted short story Jeffty is Five, which won the Nebula and Hugo awards. Ellison knew Koenig as a little boy through his father, Walter Koenig, the original Star Trek Chekov as stated above. Ellison had written for the original Star Trek Series, notably the episode "The City on the Edge of Forever" broadcast in the first season, in 1967. It would win a Hugo for Best Dramatic Presentation in 1968 and is considered one of the most memorable of the original Star Trek TV episodes. Ellison published a book in the 1990s on this episode and his involvement therein, entitled The City on the Edge of Forever. ~ further from Lawrence. As many have pointed out, Anton Yelchin joins the "27 Club." The 27 Club is a term that refers to a number of popular musicians who died at age 27, often as a result of drug and alcohol abuse, or violent means such as homicide or suicide. Besides his acting, Yelchin once played in a punk band named The Hammerheads. Yelchin was born on March 11, 1989. That same day, a former US Congressman, Democrat James Kee (b. April 15, 1917) died March 11, 1989. He lived his life in Fayetteville, West Virginia. March 11th is numerologically recalled for the Japanese earthquake of 3.11.2011. My condolences to the family and friends of Yelchin, Koenig, and others who died tragically, by suicide and otherwise. Thanks to correspondent "Lawrence" and "rexlizardo" for their sync notes. Thanks for another great analysis, Loren! Will share the article with the tinfoil forum community. I remember another commentator on this curiously untimely death mentioned a (first) name connection with Anton Lavay (Church of Satan founder), and the fact this death reportedly occurred on the summer Solstice (which may speak to ritualism). “At least 13 children and their adult instructor have died in a storm while boating on a lake in Russia's northwestern region of Karelia, officials said Sunday. Vladimir Markin, a spokesman for the nation's main state investigative agency, said several boats with children overturned Saturday in a storm in Syamozero, 75 miles east of the border with Finland. Of 47 children and four adult instructors in the boats, 13 children and one adult have died, Markin said. Markin said three people have been detained on suspicions of violating safety rules: two instructors and a deputy director of a hotel where they were staying which reportedly organized the boating. The children who went out boating came from Moscow and the capital's mayor, Sergei Sobyanin, offered condolences to the victims' families. Repeated warnings of an advancing Atlantic cyclone had been issued days ahead of the storm, advising everyone against boating on the lake, one of the favorite holiday destinations in the area, regional Karelia lawmaker Alexei Gavrilov said on Rossiya 24 television. "They didn't have the right to go out boating," he said. Vladimir Kucherenko, the director of a local tourist company, said that most children had apparently died from long exposure to cold water, as water temperatures in the lake were 46-50 Fahrenheit. He said strong winds might have driven boats across the lake, making it hard for the children to get to the shore. "I would like to look the person who allowed them to go boating in the eye," Kucherenko said in televised remarks. "It was suicidal." Also, 22 July is Pi-approximation day, and Pi represents halfway around a circle = opposition = Anti = Anton. Also of note is the remarkable resonance of the death of Lane Graves in Orlando to the name of the man who reportedly pulled the trigger on Tupac Shakur, Orlando "Baby Lane" Anderson.